Definitely have one potty for upstairs and another for downstairs. The basic potty is ok, but we found the ones with a pot that sat inside much easier to empty. Cleaning to toilet seat after each potty empty is a real pain, the pot makes a huge difference. We love the Summer Infant Step by Step potty and also the IKEA one, which both have this feature. We have a My Carry Potty which is brilliant as we can just close it after it’s been used and know it’s safe and sealed. See my review of the dinosaur My Carry Potty to hear why we think it’s the best travel potty. Amazon affiliate link* to My Carry Potty. We have the Dinosaur design which is exclusive to Mothercare. We had a few sofa accidents when H was first not wearing a nappy/wearing pants… These pads are amazing and also reassuring! We also used them in the car seat when first going out. We also used tea towels to protect the car seat and the bit in front of the training pad near Toddler H’s knees. Definitely get two packs of cheap pants. At the start on a few days we went through a lot! Sometimes not a real accident, but toddlers aren’t great at aiming when they sit on the potty and sometimes it goes over the edge. We were sent a pair of Zoocchini organic training pants to try, and must say they were a huge hit. They’re the reason Toddler H refused to put on a nappy again, and refused to take them off going out. Have at least one change of clothes with you every time you go out and remember spare socks! Some days you’ll be cleaning out the potty a LOT. In the first days of potty training Toddler H could go every 5-10 minutes around 15-20 minutes after having a drink. Seriously wee, wee, wee, every few minutes. After a day or so she would go longer, even panicking me by not going for 3 hours one afternoon, nothing like keeping mummy on her toes! Those anti-bac wipes and sprays are an absolutely necessity, be prepared people… but rest assured it will get better! Both clean carpets and baking powered is great for getting smells out. Definitely a must! You’ll be washing your hands along with all those wee wees and cleaning. Keep moisturisers everywhere and next to every sink. My hands are so chapped and dry after our potty training and they’re sore and it’s just not a good look. 10. Cuddles, kisses, encouragement and the odd treat! Try as hard as you can not to get upset when there is accident after accident after accident. Encourage and cuddle. Give cuddles while they sit on the potty, remind them they can have a treat when they do that poo, soothe them when they’re upset and don’t let them see all the accidents if you can. They know when they’re succeeding and rally on it too. High five all the way! 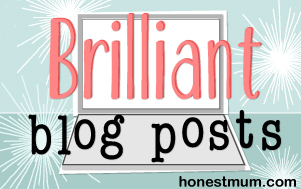 I have quite a few potty training blog posts so do check them out. Disclaimer: where * links are to Amazon, I may receive a few pennies if you click on these links, at no cost to you. Mama Grace on Toddler puzzles: Orchard Toys Once Upon A Time puzzle?